After arriving at Bangkok, I got a research permission and research visa, and headed to Surin. In Surin, I talked with my research collaborator and started my observation. 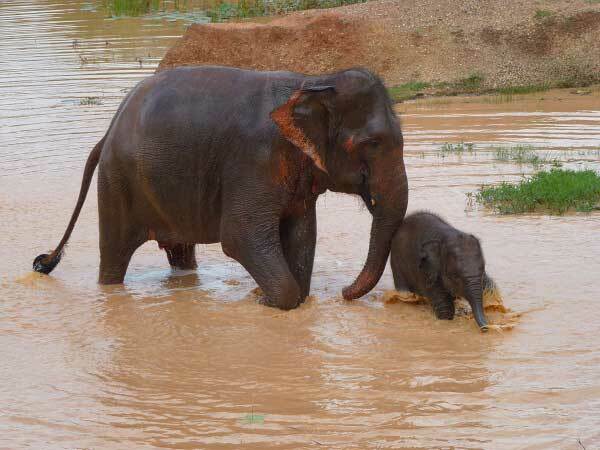 My subjects were a group of 12 elephants (age 8 month-26) that has been organized for the volunteer program called Surin Project. 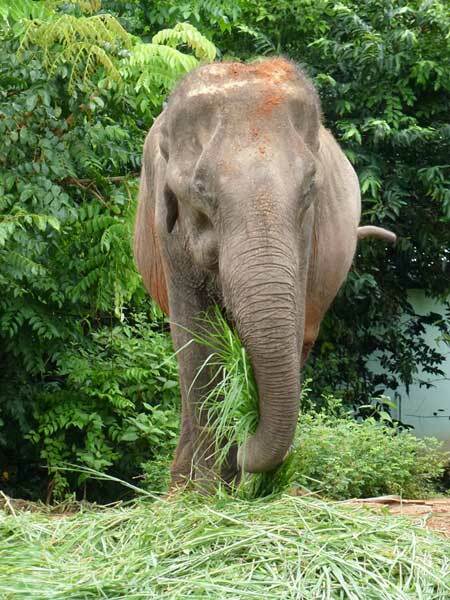 These elephants spend time in the enclosure in the village and walk to the forest or river near the village. During these times, I observed elephants and collected data about social behavior. Also I observed five old females (age 38-89) in the enclosure. I could collect the data for three or four hours per day about the 12 elephants and two hours per day about old females. Additionally I organized a group of six elephants. I chose the six elephants including two mother-calf pairs from about 260 elephants in the village and asked their mahouts to cooperate to my research. I observed them for two hours per day in the enclosure to make clear how the interactions between elephants change with time. I used direct observation and recoded behaviors with voice recorder and video camera. Now I am analyzing the data I collected.